I've loved the television show, The Golden Girls, for a loooong time now. I've wanted to do this for a couple of years, but since today is the 30th anniversary of the Golden Girls' premiere episode, I thought this would be a good time to motivate myself. I/we are going to do The Gold Album. Yes, an entire album/EP about The Golden Girls' Universe! I've set today to announce it and will have all the songs written and recorded by May 9, 2016. May 9th is the date that the final episode of The Golden Girls aired. Ryan, Corey, and George will be contributing in whatever way they see fit. I'm a little bit of a fanboy when it comes to the show, so I'd imagine you'll be seeing me do a majority of the stuff for this. Essentially, this is a concept album set in a utopian future. Most of our 20th and 21st century culture has disappeared. The primary exception being The Golden Girls and what the show brings to the table. Picture it: Viewing a new world through golden eyes. Haha! Each girl is viewed as a saint with her own song/hymn. The musical style will be a bit all over the place, but every song will have some element of music that was either in the show or associated with the time period combined with what I think might have also made it 9000 years from now. There will be one song for each girl and probably two versions of the theme song (in different musical styles). If things feel right, there might even be a song for some of the side characters (Stanley Zbornak perhaps?). I know it sounds ridiculous. That's because it is. I love the show and I hope that those with a similar view as me will get a kick out of it too. Anyway, I threw together a YouTube video that consists of me geeking out and describing this same thing. It's a one take, no editing kind of thing. I don't normally do this, but today is a special today. Happy 30th Anniversary to The Golden Girls! Thanks for reading and watching. Thank you for being a friend! A lack of updates sometimes means a lack of things happening. That hasn't necessarily been the case. I hate to post every time something small happens, but a few small things and one big thing seemed to justify a new post. The live band has been busy right now AND I am working on a bit of instrumental music for a few things. We had our first performance in July at The Main Street Cafe in Clarksburg, WV. We played with some really nice folks and the people at the venue are very nice. It was an eclectic lineup and I'm sure we will do it again. I'll be doing music for a production of George Farquhar's play, The Beaux' Strategem this December. I'm also working on an interactive dance piece in conjunction with a really nice choreographer and two lighting designers/digital effects artists. This has potential to be really amazing, but we are still early in the process. We are finishing up recording for our full length, The Great Repression. We've shared some music from this album already so you have an idea of what it will sound like. We would like to do some special video releases for this too. If you are a video creator or animator, email us and maybe we can collaborate. The bigger news right now is that Black Hole Zion live band has been selected to play at the Trauma Halloween Fetish Festival in Columbus, Ohio. Trauma runs from 10/29/15 to 10/31/15 at the historic Bluestone Theater. 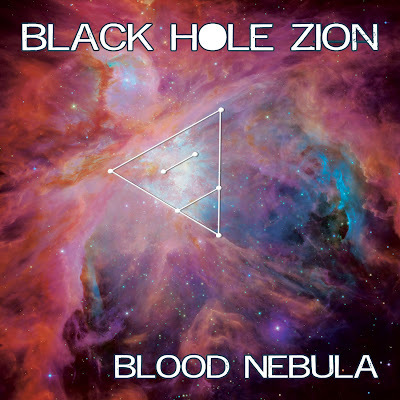 Black Hole Zion will be performing on Friday, October 30th. We are very excited to be part of such an interesting and engaging sound and visual experience. You can read more about Trauma and purchase tickets at http://www.traumacolumbus.com. We will be doing some special things for this performance only. If you are in the area, or can make the drive, come out and see us. Oh, and we just Twitter and YouTube accounts. You can follow and tweet to @blackholezion now if you are a Twitter person. 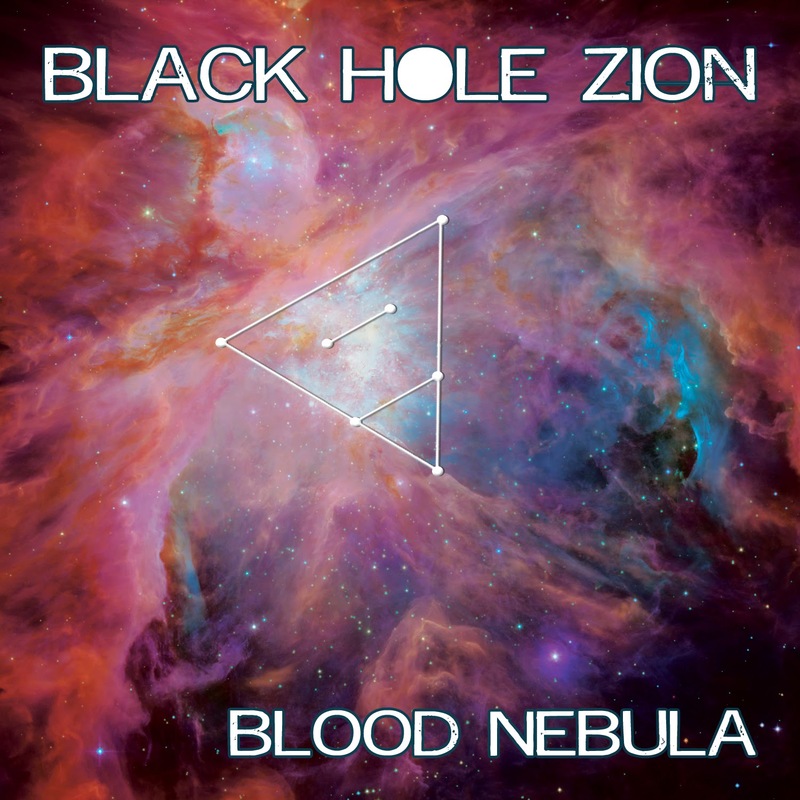 The Black Hole Zion YouTube channel is here. I tend to work on multiple things at once. While this makes projects take longer, it lets me jump in on something while I am really excited and inspired. After that initial creative burst, I'll calm down a bit and switch into something else and start the whole process over. This really helps keep each musical adventure fresh each time I come back to it. Anyway, I compose music for plays sometimes. I really enjoy most aspects of it. I like to collaborate, and plays take that to another level. Instead of only working with other musicians, you have a director, SFX and lighting folks, scene design, props, costumes, actors, dancers, etc... It really is a great experience. You are given some concept art, a script, and some background info from the director. This might include some ideas as to what they want in terms of instrumentation (wind instruments, acoustic guitar, percussion, electronics, or something else). After that, I get to work on musical sketches for various scenes in the script. A play is a lot different than a movie or a game. It is quite rare for large chunks to be underscored. After I get a few sketches together, I sit down with the director and the SFX person to see how my vision fits their vision(s). I've been fortunate in that I've never had to massively redo any music I've written. However, you always have to change something. It could be as simple as getting to the next section a little faster because you are underscoring stage combat. It could be something a little more difficult like remixing an 8 channel surround piece because the dancers are out in the audience and would like more piano in two different channels so that it sounds a little closer to the stereo version they had been doing initial rehearsals with. You get the idea, right? I ended up REALLY liking some of those pieces of music from the last year or two outside of the context of live theater. I decided to take a bit of time away from the music (yeah, see above) and then tweak some things back to how I preferred them instead of how they fit the scene. Some of the pieces were given additional sections too. While there were some things that already had guitar on them from me, I wanted some additional parts played by another person. As usual, I reached out to my friend and primary Black Hole Zion collaborator, Ryan/Mega Beardo, to see if he would be interested in doing it. He had a bunch of stuff going on, most importantly, planning a wedding, getting married, and going on a honeymoon. It just happened that our friend, Tony, was free. Tony had just gotten some new gear and was looking to test it out with some recording. You may know Tony from his former band, Byzantine, where he played lead guitar. Tony and Ryan are both really talented, so it was like getting a million dollars worth of cheesecake versus a million dollars worth of ice cream. Did I just compare the talents of my friends to desserts? If you know me well, you'll know this is one of the highest compliments I could give. All of the music I was most attached to had similar underlying elements: conflict and violence. There are some light sounding pieces, but even those had some type of conflict necessitating their existence. Some are heavy on electronics and others are all acoustic instruments. As you might have guessed by the title of this post, this collection of music will be called Blood Nebula. Blood Nebula serves as a continuation and a sort of mate to Reflection Nebula. Both are instrumental collections, but whereas Reflection Nebula steered quite hard to the right side of the brain and being a little ambient, Blood Nebula is more focused and driving. I've just about finished mixing everything, and I'm really proud of how it is turning out. I'm very excited for folks to hear it. For now, here is a sample of one piece called "I'll Die for What I Believe in (I Just Don't Know What That Is Yet)" via my Instagram. I'm looking forward to posting more soon.